Yoga is everywhere you look – from yoga pants becoming fashion to new studios and online programs popping up everywhere other week – but really, what is yoga? Yoga is a physical, mental and spiritual practice dating back to the sixth century BCE in India. The word yoga itself is commonly translated to mean “union” and is associated with the practice of meditation, breath control and movement through specific body postures. So how does this relate in a yoga class? What is yoga in the modern day? The standard yoga class focuses on asana, the physical practice of yoga postures. It may surprise you to learn that there’s more to asana than just stretching. This element – or “limb” – of yoga is intended to develop balance in the body, through strength and flexibility. There are a number of different styles of physical yoga, each with their own benefits and differences. Vinyasa yoga is a popular style that moves through postures in quick succession, creating heat in the body through movement. While this style is more physically challenging, vinyasa yoga is still a low impact form of movement and exercise. Vinyasa yoga can be practiced in a heated room or at room temperature. If you’re looking for something a little gentler, yin yoga targets the body’s energetic system and fascial tissue. Yin provides the opportunity for physical relaxation and meditation. For a lot of people, the physical side of yoga results in a “gateway” to a more spiritual exploration or practice. So where does this start? What is yoga’s secret here? Breathwork, or pranayama, is the foundation of any yoga practice and goes hand in hand with your physical postures. Pranayama translates as “vital life force”, believing that the breath is the source of our prana or energy. Most yoga classes will start with breathing exercises or techniques, which are then integrated through the class. Only after your warm up of meditation and movement are you prepared for meditation. Meditation starts with sitting and stilling the mind and focusing your attention on the breath, without changing the breath pattern. As the mind begins to wander, let these thoughts go and bring your attention back to your breath. Ready to give is a go and have your questions on “what is yoga?” answered? 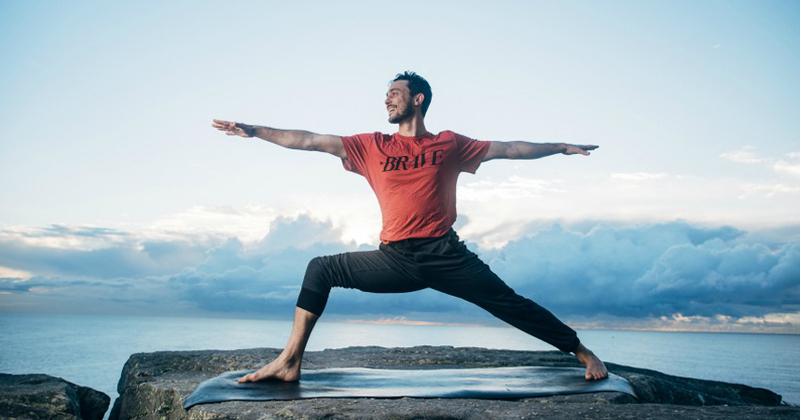 Come join us at Power Living Australia Yoga and experience what it’s all about first hand! Check out our intro pass here.